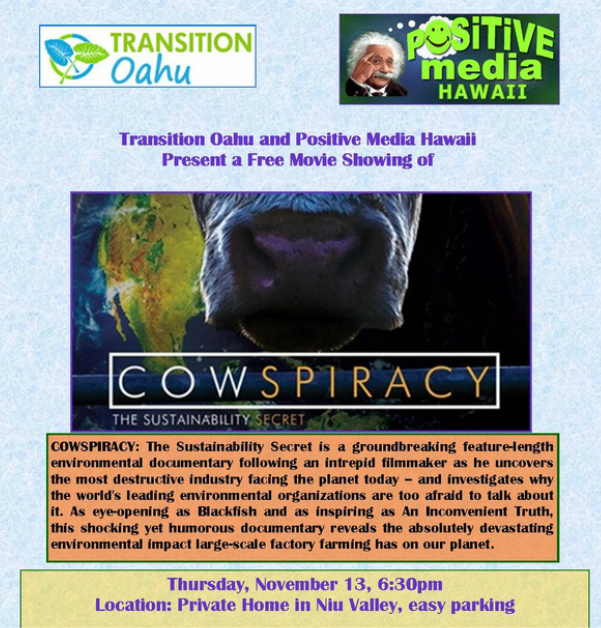 Transition Oahu and Positive Media Hawaii present a free showing of the film, Cowspiracy on Thursday, Nov. 13. We'll start at 6:30 p.m. with vegan pupus and conversation (feel free to bring a vegan snack to share if you like, or just come). Movie screening 7:15 p.m. - 8:45 p.m. The location is a private home in Niu Valley, easy parking. Space is limited. To RSVP and reserve your spot, please fill out the RSVP form above, or email Joy@PositiveMediaHawaii.com. We'll respond with location details. 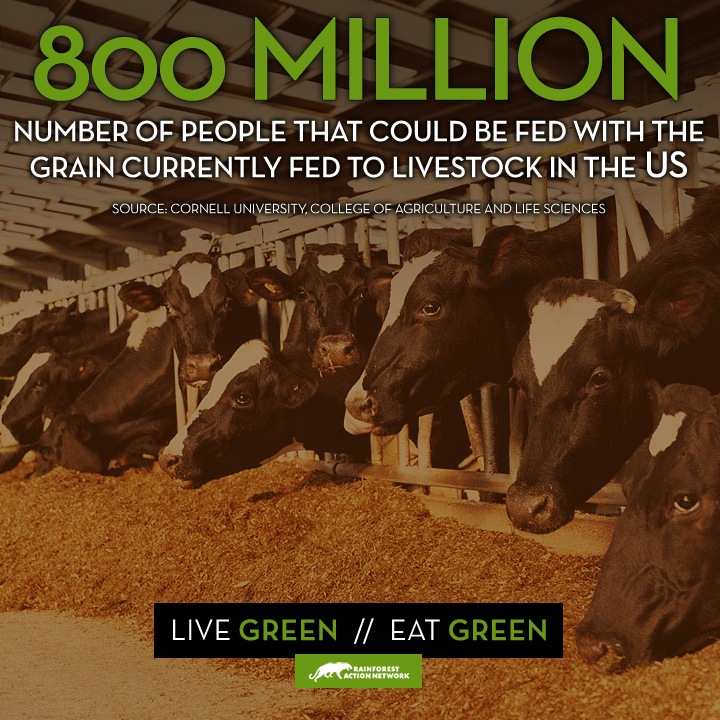 This well documented film illustrates the effects of animal factory farming on climate change. We hope you'll join us for this inspiring and enlightening documentary!